Many years ago, when I were but a boy, I lived in the wild west of Hunan province, about 12 hours north of Liuzhou by train. For two years I ate Hunan food and loved it! It’s still my favourite. It is spicy. Very. Hotter than Sichuan food. They are also partial to a bit of smoke. Smoked pretty much anything. Duck, chicken, shrimp, tofu, and above all pork. Of course. And when they aren’t smoking, they are curing in salt etc. 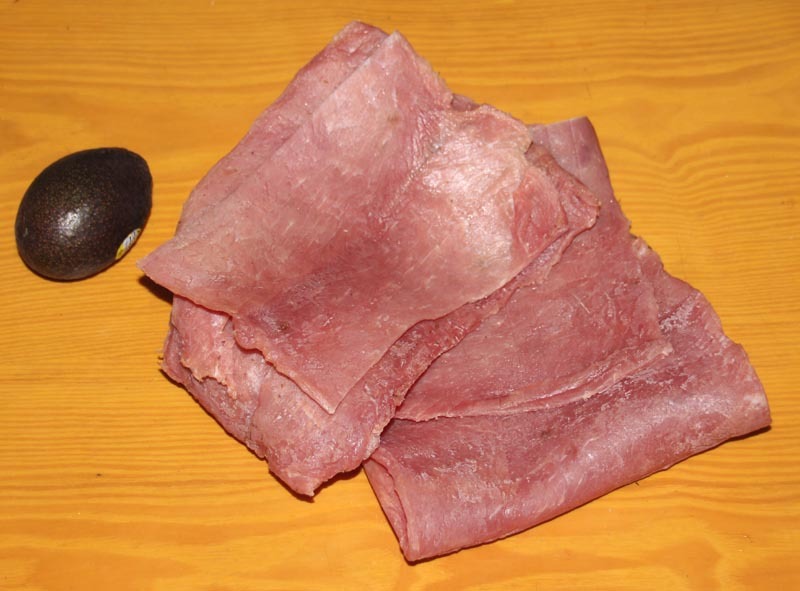 The small town of Yuanling (沅陵) in west Hunan makes a beautiful ham called 晒兰, but you can’t buy that in Liuzhou. My dear friend Jackie, who lives there, sends me regular batches. But it is possible to find one of Hunan’s most notable products. 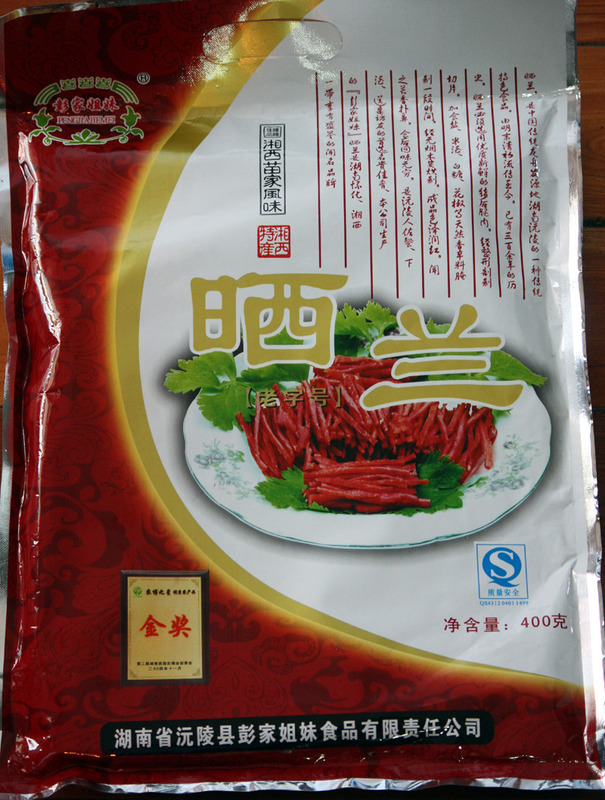 Hunan Larou (湖南腊肉; Hunan Bacon) is sold in most supermarkets and markets. RT Mart have an excellent variety for ¥30.80 / 500g. 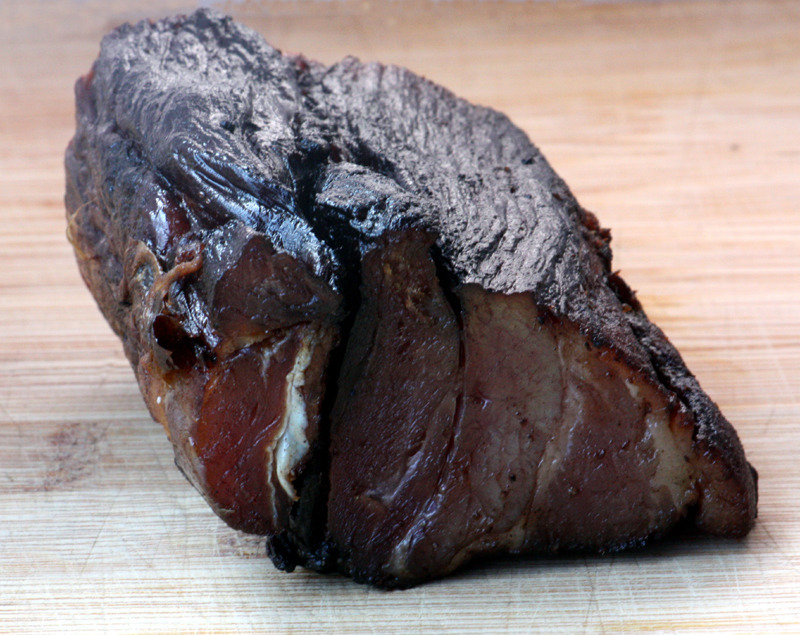 It has an intense smoky smell and taste. Thinly sliced and stir fried with leeks and chillies, it is to die for! 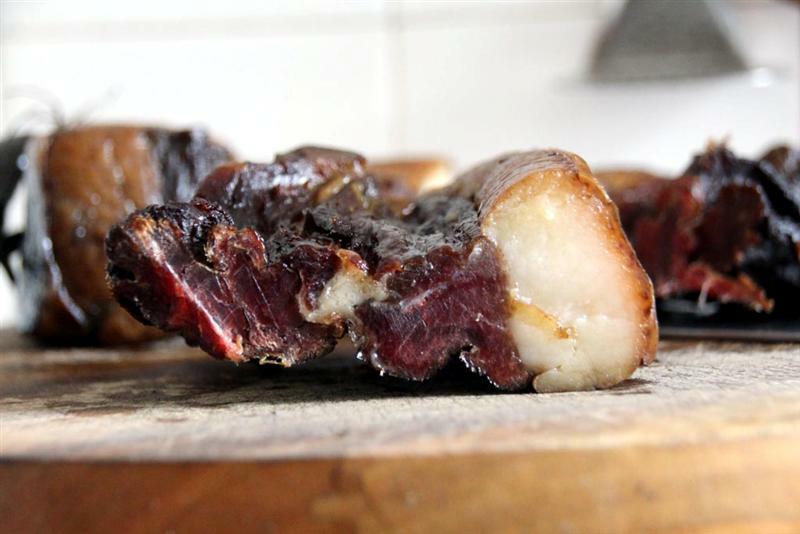 However, if you can get hold of home-cured and home-smoked larou, then you will be in heaven! Here is a sample sent to me by another dear Hunanese friend. It was made by her mother. 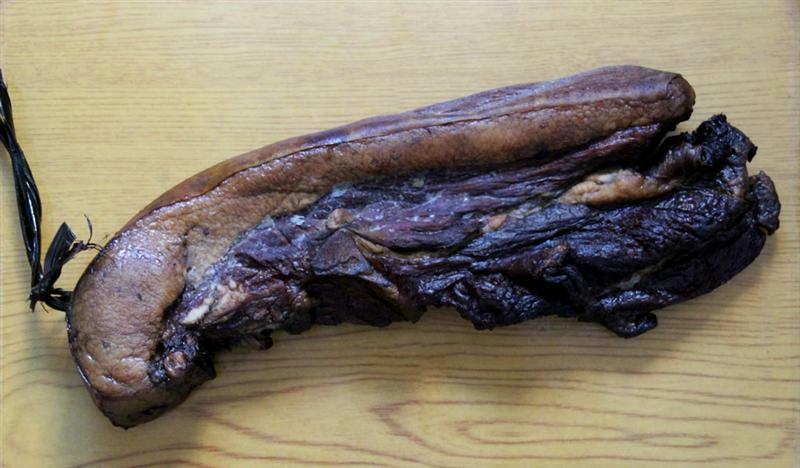 This baby is 13 inches long. For excellent and authentic Hunan food, I can recommend Shaoshan restaurant (韶山饭店) on Gongyuan Lu. Complete with pictures of Chairman Mao staring down at you as you eat. Picture menu too, so you don’t need to worry if your Hunanese isn’t up to scratch.
. This entry was posted on Friday, November 2nd, 2012 at 7:00 am	and is filed under Food and Drink, Friday Food. You can follow any responses to this entry through the RSS 2.0 feed. Both comments and pings are currently closed. Whilst I completely agree with every sentiment expressed in this post, and whilst I am also a huge fan of hunan food, I am never comfortable eating in restaurants that feature portraits of mass murderers, in this case the biggest butcher in human history. It would be bad enough eating in the Fuhrer’s Kitcher or Stalin’s Pizzeria, but Mao killed more people than those two put together – why put his picture on the wall? @MyLaowai I take it you don’t accept RMB, then. One word: Brainwashing. Hell, some circles claim that the Chinese even invented the term! In truth, I prefer USD in my line of work. But you make a fair point – I also feel dirty having RMB on my person.